This class can be used to get geographic location of a given IP address. It sends a request to a Web server of this package author to retrieve details about a given IP address. 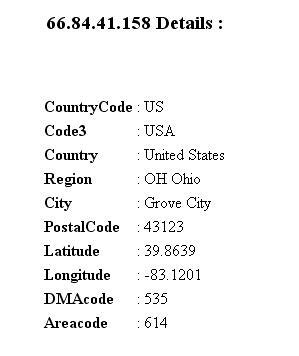 Currently in can obtain geographic details about the location of the computer with the IP address, such as: country name, country code, region, city, postal code, latitude, longitude, area code, etc..